On Friday, January 23rd 2015 at 8 pm, the concert from the Gewandhaus zu Leipzig will be streamed live on arte concert. The Gewandhausorchester Leipzig under the musical direction of its chief conductor Riccardo Chailly will play Pyotr Iliych Tchaikovsky’s Violin Concerto in D Major op. 35 with soloist Julian Rachlin and Gustav Mahler’s Symphony No. 1 in D Major. 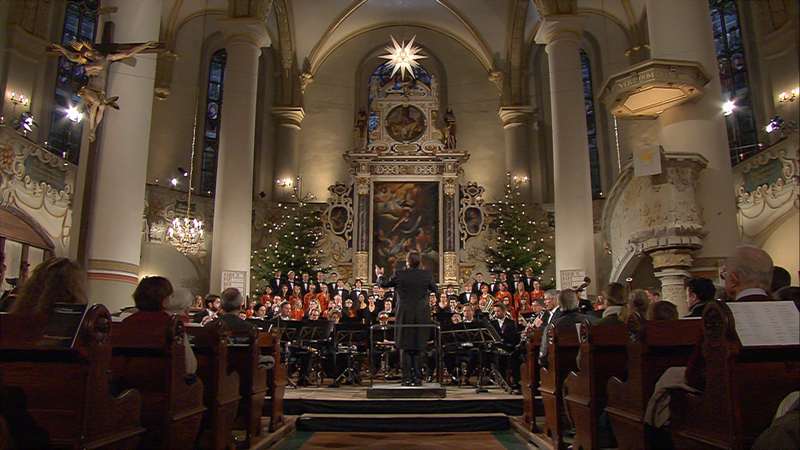 The concert can be watched right here on the accentus music Website! The German label wins the award for Label of the Year at the 2015 International Classical Music Awards (ICMA)! The German label, which was founded five years ago in Leipzig, Germany, was awarded the prestigious distinction by the jury of the International Classical Music Awards (ICMA). With this award the independent members of the jury, including print and radio journalists from across Europe, honour the exceptional work of the German label and production firm. “With an impressing number of nominations and winning productions, Accentus is one label we have closely observed during the last few years and we certainly appreciated its careful and judicious release policy. The title Label of the Year is therefore truly deserved”, says jury president Remy Franck. Claudio Abbado, Riccardo Chailly, Daniel Barenboim, Andris Nelsons, Simon Rattle, Pierre Boulez, Herbert Blomstedt and Alan Gilbert – the Leipzig Gewandhaus Orchestra, Lucerne Festival Orchestra, Staatskapelle Berlin, New York Philharmonic and Simón Bolívar Symphony Orchestra – Evgeny Kissin, Joshua Bell, Martha Argerich, Nikolaj Znaider, Zhu Xiao-Mei and Hélène Grimaud – they have all worked with Accentus Music, confirming the label’s reputation for extraordinary concert and opera recordings as well as documentaries and portraits of the highest technical and artistic quality. stand out as unique examples of artistically homogenous documentations and already serve as the prominent point of reference for similar projects. A CD box set with Herbert Blomstedt’s new recordings of all of Beethoven’s symphonies with the Leipzig Gewandhaus Orchestra will be released just in time for the conductor’s 90th birthday in two years. One of the most unique features of Accentus Music is the fact that the production of all releases is managed in-house. Each production carries Accentus’ very distinctive thumbprint and documents some of the most important events of recent musical history. In previous years, Accentus Music won international prizes including Echo Klassik award, FIFA Prix du Meilleur Portrait, International Classical Music Award, Gramophone Award, Golden Prague Award, BBC Music Magazine Award, Diapason d’Or and Choc Classica de l’année. The ICMA award ceremony will take place in Turkey’s capital Ankara on 28 March 2015. Various artists who are closely linked to Accentus Music will take part in the ceremony, including pianist Zhu Xiao-Mei, who will receive a Special Achievement Award for her two most recent Bach recordings with Accentus Music, and conductor Alexander Liebreich. The musical accompaniment to the ceremony will be providedby the winners of this year’s ICMA Awards and the Bilkent Symphony Orchestra. Accentus Music productions on TV over the holidays! December 20, 2014, at 22:30 on German TV channel mdr. On December 29th, 2014 at 18:25, arte will air C.P.E. Bach’s “Magnificat” from “C.P.E. 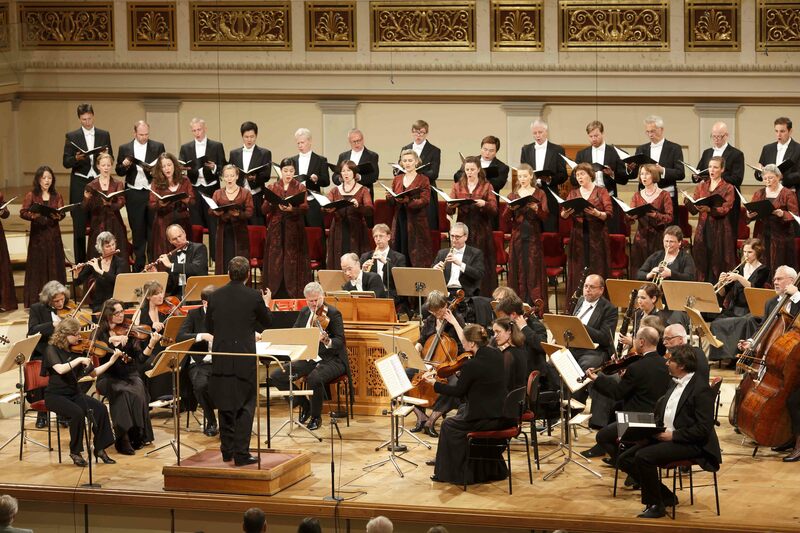 Bach – The 1786 Charity Concert – A revival”, recorded at the Konzerthaus Berlin with the RIAS Kammerchor, the Akademie für Alte Musik Berlin and an extraordinary quartet of soloists. We are proud to announce that our CD with J. S. Bach’s “The Art of Fugue”, played by world-renowned Chinese pianist Zhu Xiao-Mei, has received the “Choc de l’année 2014” last night at an award ceremony in the Salle Pleyel in Paris. The “Choc de l’année” is awarded annually by French music magazine “Classica” and is considered the most prestigious award for classical music recordings in France. 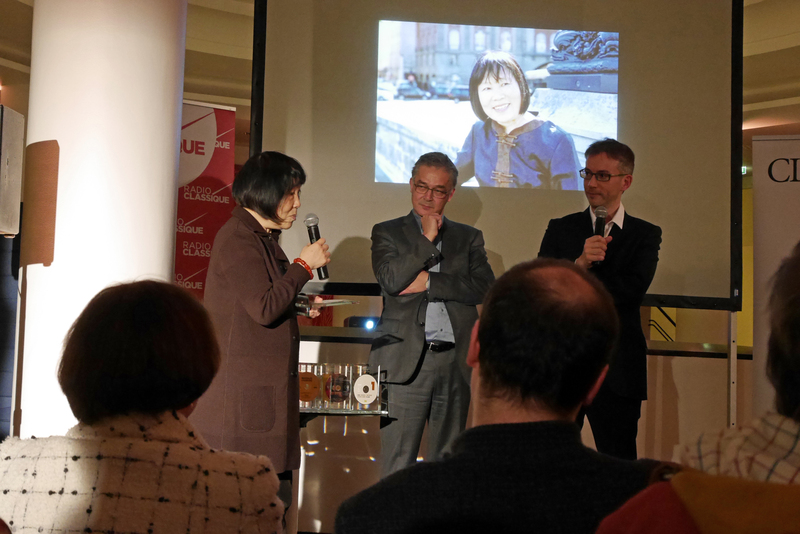 Below is a picture from the awards ceremony with Zhu Xiao-Mei (left) and accentus music’s managing director Paul Smaczny (middle). 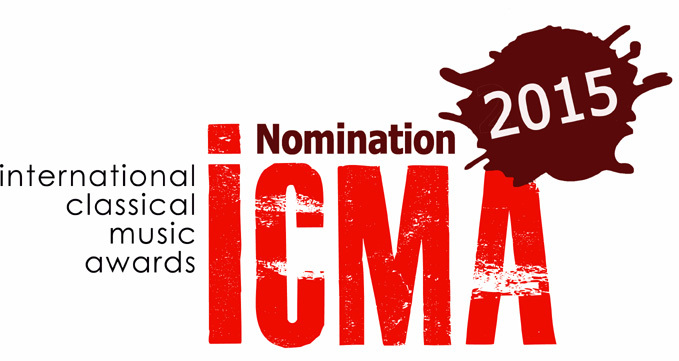 Accentus Music receives nine ICMA nominations! We are honored and proud to announce that Accentus Music has received nominations for the 2015 International Classical Music Awards (ICMA) for nine of its productions! Nominated in the category “Video Documentaries” is Allan Miller’s film “Speak the Music – Robert Mann and the Mysteries of Chamber Music“, which was recently released on DVD on the accentus music label. And nominated in the category “Baroque Instrumental” is our CD “J. S. Bach: Die Kunst der Fuge” with renowned Chinese pianist Zhu Xiao-Mei. Riccardo Chailly, Gewandhausorchester and Nikolaj Znaider live on arte concert – 12 October 2014 @ 11 a.m.
On Sunday, 12 October 2014 at 11 am, Nikolaj Znaider will play Ludwig van Beethoven’s Violin Concerto with the Gewandhausorchester Leipzig under the baton of Riccardo Chailly. The concert, also featuring Symphony No. 12 by Dmitri Shostakovich, will be broadcast live on the arte concert web platform and is viewable right here on the Accentus Music homepage. Andris Nelsons conducts the Lucerne Festival Orchestra in an all-Brahms program. Click HERE for the video on the Arte Concert platform. Simon Rattle and the Berliner Philharmoniker with Stravinsky and Rachmaninoff. Accentus Music in a new design! we are very happy and proud to introduce you to our new website! Take a tour, enjoy the new design and browse all our wonderful new productions and DVDs. In case you want to give us feedback or if there is anything that you are missing, please let us know by using the contact form under “contact” in the upper right corner.